It’s not the homecoming Detective Inspector Tudor Manx was expecting, but solving the case is just the start of his problems. Recently transferred from the London Met to the North Wales Constabulary, Detective Inspector Tudor Manx has come to Island of Anglesey hoping for a quiet life. But his hopes are dashed when a brutally mutilated body is found crucified to the bow of a fishing boat sending shockwaves through the peaceful community. Manx’s faces pressure to solve the case quickly equipped with an inexperienced team. Is the body a message or a premonition of more murders to come? Adding to his mounting problems, Manx’s troubled past returns to haunt him. Manx left the island after the disappearance of his younger sister, Miriam; a cold case that still remains unsolved. Can Manx solve the case before the body count rises? How will he cope when he is forced to choose between his family and his duty as a police officer? This is the first book in the thrilling new DI Tudor Manx series. After working in London for a number of years, DI Tudor Manx returns to his home turf of Anglesey and a new team of detectives. It really is a matter of get to know the team as you go because what Manx thought was going to be a more even paced and steady career on the Isle isn’t quite going to plan. A phone call on a stormy night has him heading towards the harbour and the first of a calling card with a message. A man’s body has been crucified on the front of a boat with something lodged in his throat. Now although this is the first victim it won’t be the last as more prominent well-known and respected figures from the Isle are subsequently discovered in diverse places with very distinctive methods of murdering them, but it isn’t the only thing that links the victims. At each of their homes a new illegal drug is discovered, one that is being locally referred to as Anglesey Blue. The police are baffled and don’t know if these are clues to taunt them or warnings to other people. The more facts that the team uncover seems to complicate the investigation rather than point them in any direction to solve these murders. Now this book is a police procedural but I soon became engrossed in the team as individuals. I have to say I love DI Tudor Manx’s name. It is so unforgettable. At first he seemed like I may be meeting him after his peak, after all he was returning to Anglesey to have a more steadier pace than he had in London. What I got was a pretty well experienced DI that was methodical, clever and not afraid to push beyond his and everyone else’s limits. He had bad memories on the Isle that he had fled from along with a bitter sister and a mother that struggled to cope with daily existence. Now at the wrong side of 35 it was time to face home and family again. There are some very strong characters in this book besides some big scary blokes that could make me improve my running times very quickly. I loved the focus on the investigation and how it all began to come together and increase its intensity, just an all round brilliant story. So frightening how easy it is sitting on the knife-edge to make a life or potential death decision. It just makes me shudder. A super start to the Tudor Manx’s series. Brilliant end to a brilliant book! Dylan is a native, Anglesey-born Welshman who now lives in Oakland, California with his wife Laura and daughter, Isabella. 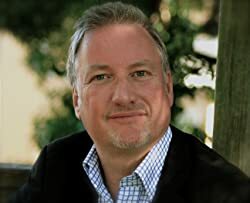 He has worked as a media executive and copywriter at numerous TV networks and advertising agencies both in London and San Francisco. Currently, he is owner and Creative Director of Jones Digital Media, a video content agency. Dylan was born on Anglesey and moved away when he was seven years old to the Northeast of England. His family then moved to the Wirral for several years before settling back on Anglesey when he was fourteen. Dylan studied Communication Arts and Media at the University of Leeds, then moved to Cardiff, working for S4C. In 1993 he relocated to London as a Creative Director with Channel 4 TV. Today, he lives in Oakland, California. His parents, sister and most of his immediate family still live on the island. 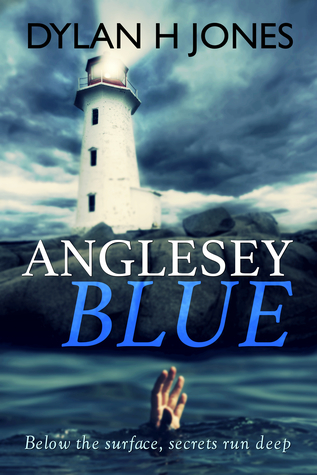 Anglesey Blue is the first in a series of crime novels featuring the sardonic, sharp-witted but troubled detective, Detective Inspector Tudor Manx. Dylan’s life, both on and off the island, inspired him to develop the series.